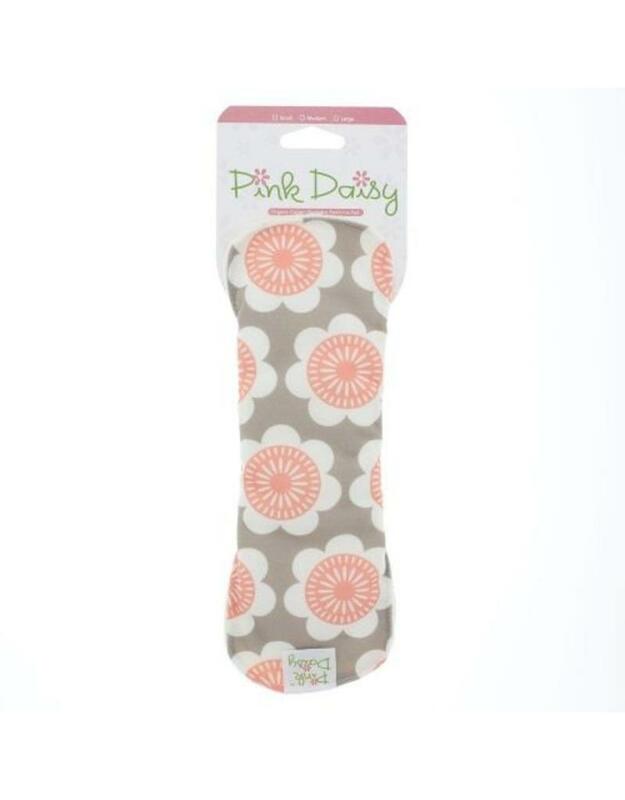 The Pink Daisy Feminine Pad is available in Organic Cotton fabric. 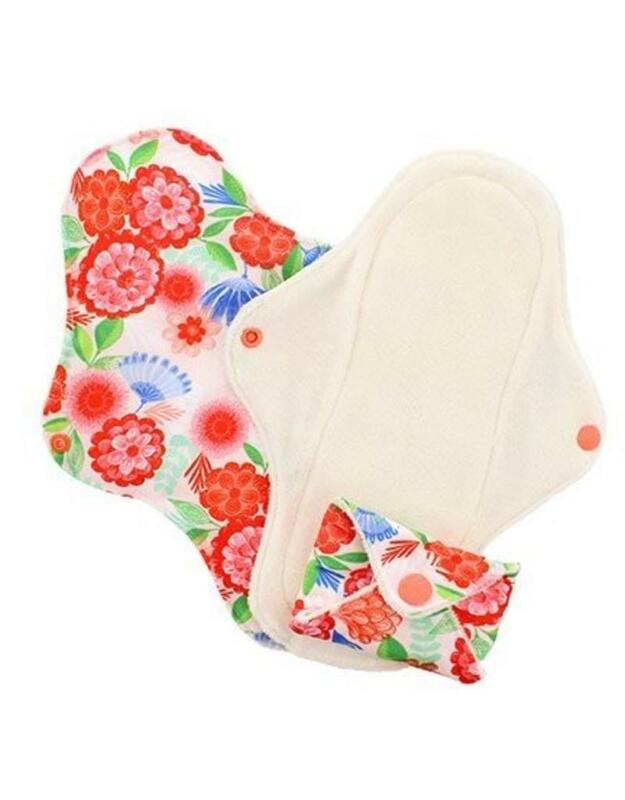 They are easy to use, soft and comfortable. 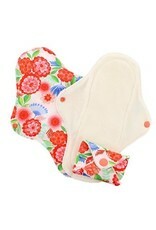 Reusable pads are economical and environmentally responsible! 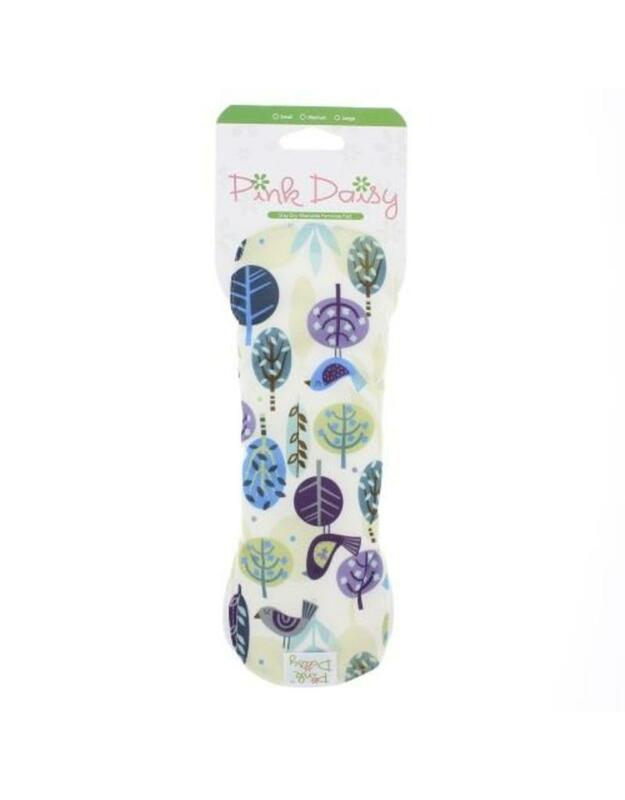 The Pink Daisy Stay Dry Feminine Pad has a stay-dry fabric liner on top that will keep you feeling dry and is certified by Oeko-Tex Standard 100 (a European ecological certification process that tests fabrics for over 100 harmful substances). 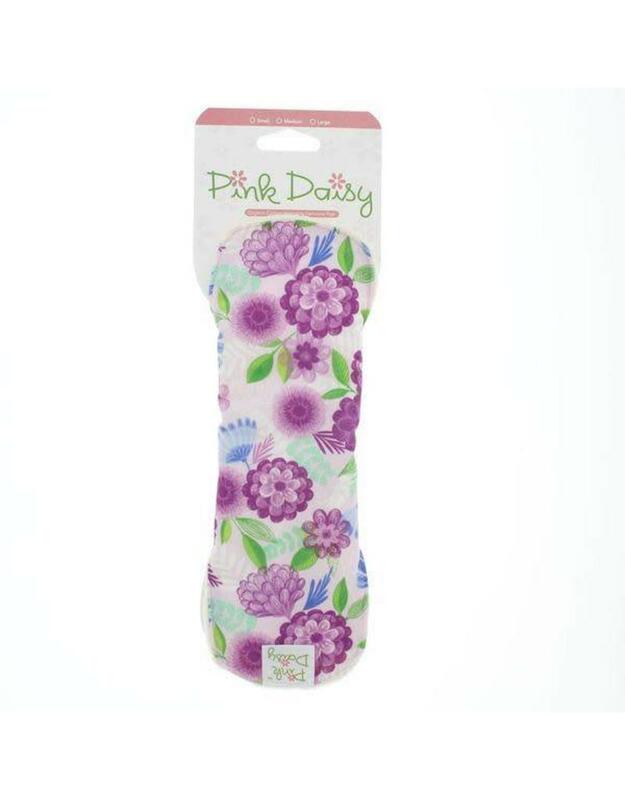 The Pink Daisy Organic Cotton Feminine Pad has the comfort and softness of organic cotton velour lining on top and microfiber terry layers hidden inside for maximum absorbency. And to prevent leakage, they have a breathable laminated polyester backing. Wash prior to first use. Snap pad around your underwear so the tag side faces down.